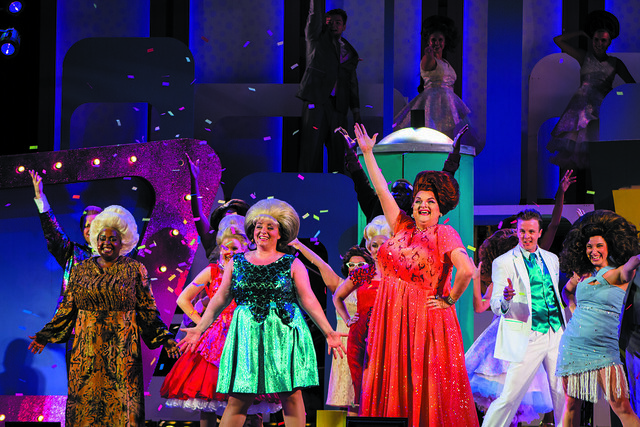 Hairspray Music by Marc Shaiman, lyrics by Scott Wittman and Marc Shaiman, book by Mark O’Donnell and Thomas Meehan Based on the New Line Cinema film written and directed by John Waters. It’s 1962 in Baltimore, and the lovable “pleasantly plump” teen Tracy Turnblad has only one desire — to dance on the popular Corny Collins Show. When her dream comes true, Tracy is transformed from social outcast to sudden star. She must use her newfound power to dethrone the reigning Teen Queen, win the affections of heartthrob Link Larkin, and integrate a TV network, all without denting her ‘do! Winner! Tony Award for Best Musical Click here to see this year’s Menu from Parkshore Grill! Check out these photos from the show! Click here to learn more about our Gala Under the Stars! GENERAL Lawn Admission: *bring your own chair or blanket Wed, Thurs, Sun – $18 (advance)/$22 (at the gate) Fri & Sat – $25 (advance)/$30 (at the gate) PREMIUM Blanket Seating: *bring your own blanket Wed, Thurs, Sun – $32.00 Fri & Sat – $35.00 RESERVED Chair Seating: Wed, Thurs, Sun – $38.00 Fri & Sat – $40.00 Children 6 and under are free Prices are subject subject to change without notice. SCOTT DANIEL (CORNY COLLINS) is thrilled to be returning to “the park” after last years production of SPAMALOT where he received critical acclaim for his portrayal of Sir Robin (TTB nominee and BroadwayWorld Award winner – Best Actor). You may recognize Scott as one half of Tampa Bay’s “Best Cabaret Act” (Creative Loafing – Best Of The Bay) The Scott & Patti Show. Scott is an accomplished actor/director/choreographer/designer with projects on land and sea. As a performer, He has traveled the world in Broadway national and international tours. When not performing, Scott is designing for Norwegian Cruise Line as their Head of Cosmetology or he is serving as the Artistic Director for MATTOCS Productions which provides original shows and entertainment services for special events, cruise lines, regional theaters and theme parks across the US. A proud member of the professional actor’s union, Actor Equity Association. Endless love to my family, ” IQ”, and “Edna”. MATT ACQUARD: (ENSEMBLE) is beyond excited for this opportunity to be performing again with American Stage on this incredible set! Matt recently made his regional theatre debut here at American Stage as Laurence/Agent Sharp in TARTUFFE. Matt recently received his BFA in Acting from Towson University in Baltimore, Maryland where he performed in a variety of roles for their Mainstage and Studio productions including Oberon in A MIDSUMMER NIGHT’S DREAM (Finalist for the Kennedy Center American College Theatre Festival Irene Ryan Acting Scholarship- Region 2), Judge Turpin in SWEENEY TODD, and Sir Toby Belch in TWELFTH NIGHT. A proud member of the new Acting/Production Apprenticeship here at American Stage, Matt would like to thank Stephanie and all the faculty here at American Stage for this opportunity, his girlfriend for constantly reminding him of the good and beauty there is in life, and his friends and family for their constant love and support. SHANTE CLARKE (DYNAMITE) was most recently seen as Charity in SWEET CHARITY at the University of South Florida’s School of Theatre and Dance. Other credits include: Musical Hall Singer in VIOLET THE MUSICAL (USF); the gentleman IN RHINOCEROS (USF); CRUEL AND TENDER (St. Dominic’s Sixth Form College) and I AM (Central School of Speech and Drama). Shante appeared as Lajuan in the short film Standing Firm. She received her B.A in Theatre from the University of South Florida’s School of Theatre and Dance. NIA JAMISON-SISSLE (SHAYNA/INEZ/DYNAMITE #3) is from Tallahassee FL. She is an alumni of Florida A&M University, where she studied Performance theatre. She is also a member of Sigma Alpha Iota International Music Fraternity and hopes to someday open a jazz club. For the last two years she has been traveling the world as a production singer for Norwegian cruise lines. Her theatre credits include : LES MISERABLES (Cosette), DREAMGIRLS (Michelle), BIG RIVER (Alice’s Daughter), ThOROUGHLY MODERN MILLIE (Millie), LA CAGE FOLLIES (Jaqueline) and THE WIZ (Dorothy). She wants to thank The American Stage for allowing her this amazing opportunity to continue to do what she loves! SADIE LOCKHART: (ENSEMBLE)is from Rhodesdale, Maryland. She received her BFA in Acting from Towson University, with minors in International Studies and Spanish. She has been a teaching artist in Ecuador, Costa Rica, Honduras, and the U.S. Sadie is a founding member of ‘The Oven,’ a theater for social change company in Baltimore. Her recent credits include: GEORGE’S MARVELLOUS MEDICINE (American Stage); COMMODITIES and GONE (The Oven); TAMING OF THE SHREW and HENRY IV PART 1 (Baltimore Shakespeare Factory); THE IMPORTANCE OF BEING EARNEST (Towson University). Sadie wishes to thank her family for their endless support of her passions and for encouraging her in all that she pursues. XERRON XAVIER MINGO (GILBERT) is a recent graduate of Florida A&M University. He has performed in South Carolina with the GLOW lyric theatre as Pooh-Bah IN THE HOT MIKADO & The Lion in THE WIZ. . He recently performed as the Narrator in THE BLACK NATIVITY with the Westcoast Black Theatre Troupe. He also understudied Abernathy in THE GREAT SOCIETY at The Asolo Repertory Theatre. He is excited to be making his debut performance with The American Stage. 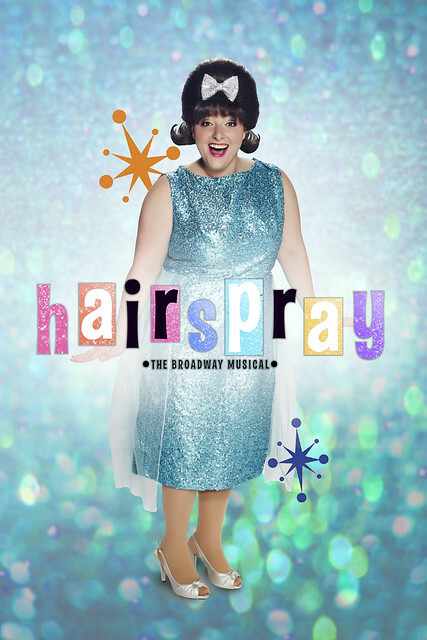 BRIANNA MOONEY (BRENDA), graduating in May with a BFA in musical theatre at The University of Tampa, is thrilled to be apart of HAIRSPRAY! Brianna was most recently seen as Billie in NICE WORK IF YOU CAN GET IT at UT. Other regional credits include: SIDE SHOW as a Harem girl and CATCH ME IF YOU CAN as Cheryl Ann at Montgomery Dinner Theatre. Her UT credits include: DOGFIGHT (Marcy), ROCKY HORROR PICTURE SHOW, LES MISERABLES and A CABARET: PLANES, TRAINS, and AUTOMOBILES. She is currently the dance captain for Beehive at UT and recently received the musical theatre award at the National Society of Arts and Letters competition. She would like to thank her family for their endless support and this show for sharing such a beautiful message. JESSICA REBECCA (JUDINE DYNAMITE #1) is a Marvin Sims Diversity Award winner, and the first recipient of the VASTA Award for Voice and Speech at the 2015 American College Theatre Festival’s Region IV Competition. She has worked professionally at the McLeod SUmmer Playhouse Theatre in Carbondale Illinois as Motormouth Maybelle in HAIRSPRAY, The Lady of the Lake in SPAMELOT, and Alice in BIG RIVER. Jessica also had the opportunity to work at the CPCC Theatre in Charlotte North Carolina as Dolores van Cartier in SISTER ACT, and Mama Morton in CHICAGO. And lastly, Jessica performed at the Essential Theatre in Tallahassee Florida as Aunt Esther in THE GEM OF THE OCEAN which she received an Irene Ryan nomination for. ETHAN ZEPH (FENDER) is a Senior Musical Theatre Major at Pinellas County Center for the Arts (PCCA) at Gibbs High School. While at PCCA, Ethan has appeared in numerous productions including ALL THE WAY (Senator Richard Russell), LES MISERABLES (Enjolras), CABARET (Clifford Bradshaw) and THE MYSTERY OF EDWIN DROOGE (Ensemble). Elsewhere – LEGALLY BLONDE Warner), at the Oklahoma City University Summer Musical Theatre Program. Ethan will graduate from Gibbs High School on May 15th and is very excited to begin college in the Fall to study Musical Theatre. Ethan is excited to be working with American Stage in his first professional role and is grateful to his family, friends and PCCA for supporting him in his artistic journey.